Qual de la Cabaude, Les Sables d'Olonne, 85109, France. OCEA was founded in 1987 and is today one of the pioneers for aluminum shipbuilding and a major aluminum industrial manufacturer. 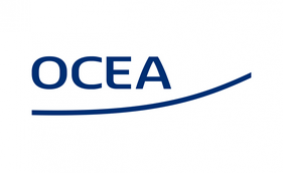 With 4 production sites located along the French Atlantic Coast, OCEA Shipbuilding delivers annually 15 to 20 vessels, up to 85 m long, including ranges for Maritime Safety and Security, Passenger Vessels, Multipurpose workboats and Motor Yachts. The Motor Yachts are built in Les Sables d’Olonne, hometown of the famous solo round the world sailing race: The Vendée Globe. Benefiting from OCEA technology, our yachts constitute real value-added products: Excellent stability underway and at anchor, great maneuverability, speeds of 10 to 20 knots, low fuel consumption, transatlantic range, low cost of maintenance, structural under body protection, easy repair including dry docking, minimum crew requirement.